Wealthy families had slaves and free servants:The father was hwad of the family.He controlled the family,supervised household religion.Women had no political rights,so their role was restricted to family life.Only children of wealthy families received an education. 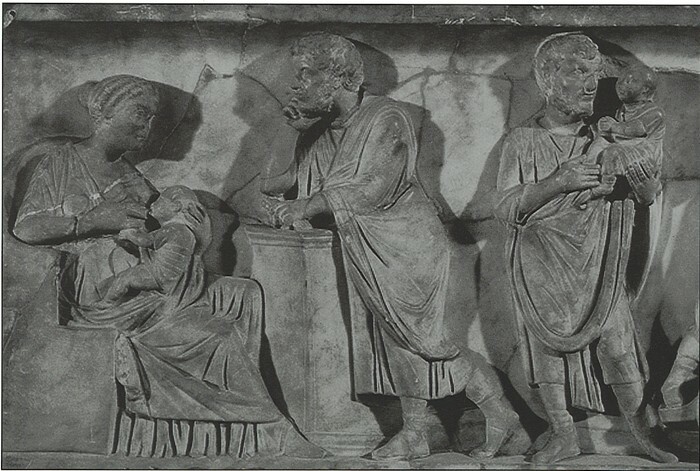 The main meal was the cenae,or evening meal.Wealthy people ate meat,fish,vegetable and fruit,and drank wine.Poor people ate cereals mixed with water and fat and sometimes ate fruit.The clothing for wealthy men consisted of a tunic,wich was convered with a toga.For wealthy women the tunic was covered with a stola. 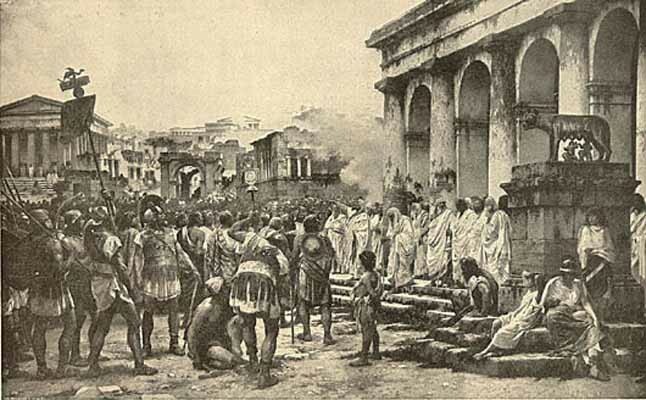 Roman had a slave economy.Slaves were used in agriculture,minig and for work in the cities:Agriculture was the main economic activity.Craftwork was carried out in workshops,where slaves were used.Mines belonge to the states.Trade was helped by the stability of the Empire.